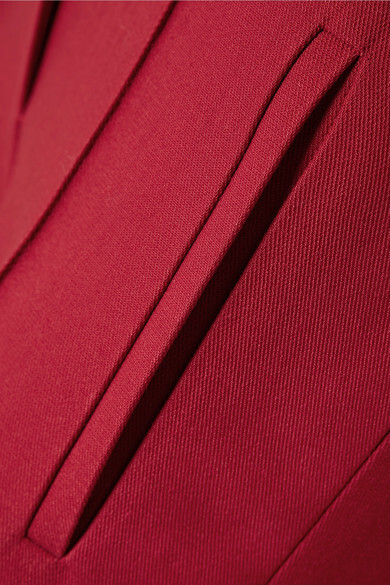 Designed to be worn with the matching blazer, Khaite's 'Marianne' pants are tailored from twill in a rich claret hue. 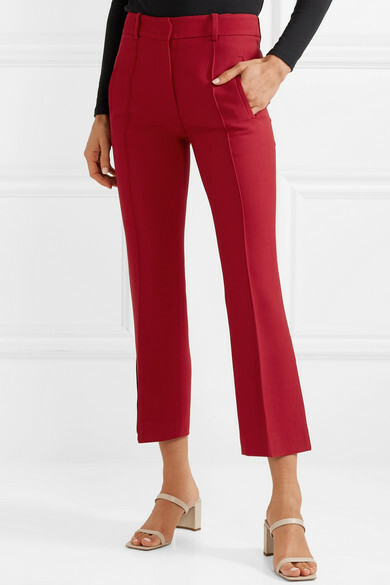 This high-rise pair is cut for a slim fit through the leg and flares out below the knee. 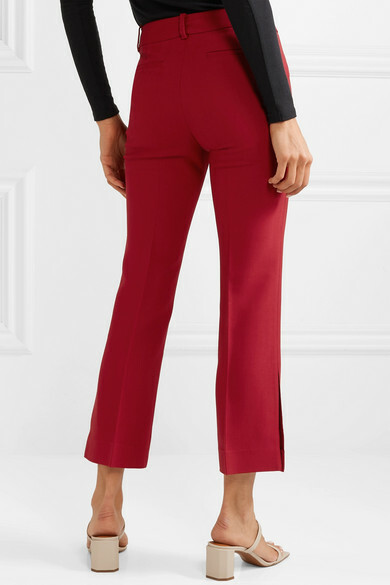 The cropped hem is perfect for showcasing your favorite pumps or mules. 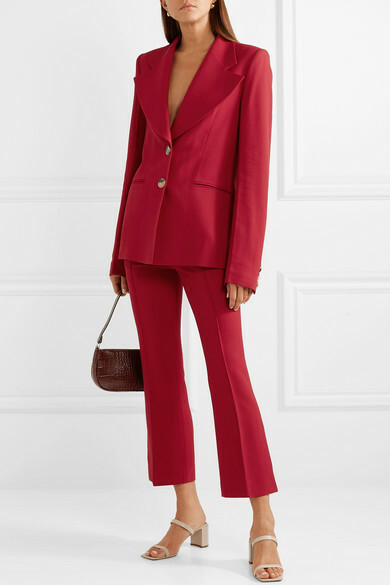 Shown here with: Khaite Blazer, BY FAR Shoulder bag, BY FAR Sandals, Sophie Buhai Earrings.